My preference for dynamic microphones for podcast and broadcast use is well-established; see the Ultimate Podcast Mic Shootout, in which I tested every great dynamic mic the broadcast industry has been loving for 50 years. Recently, we’ve seen a couple intriguing new podcast mics come on the market: dynamic mics with onboard amplifiers, ADCs, and USB output. This means podcasters can plug these mics directly into their computers and get all the benefits of a dynamic voice mic with none of the hassle of needing a separate preamp and converter. How do they compare to the industry standards? Let’s find out. We tested three moving-coil USB dynamics, plus a hybrid USB/analog condenser that shined in our shootout of $200 condensers for podcasting, the Studio Projects LSM. This audio test is completely unfair: the samples below include USB mics ranging in price from $50-$230, against a 24-bit signal chain worth over $750. Do you think you’ll hear a difference? It is worth noting that the input level for all these USB mics is adjustable via software, at least under OSX. If you set the input level too high, you’ll clip the mic’s signal. Too low, and you’ll have a very noisy track when you apply digital gain or compression in your DAW. For best results, set up the mic in the position you’ll use it, and speak into the mic as you will when tracking. Set the input gain slider (found in System Preferences, Sound pref pane on OSX) so the input level peaks at the second-last bar. If the rightmost bar lights up, you risk clipping. If the mic has 16-bit output, you’ll want as hot a level as you can get without clipping, to maximize the signal to noise ratio. This step will make an audible difference in the noise floor of a 16-bit USB audio track. I’ve tested it, and confirmed the results. All mics were recorded directly into Pro Tools, then RMS gain-matched, exported at 24/44.1, fine-tuned and converted to 320 kbps MP3 via Sample Manager. Listen blind to the samples below, then click the button at the bottom to reveal which mic is which. In all cases, I recorded at a distance that seemed best for the mic. For example, the LSM sounded muddy and dull at 2 inches, so I backed off to about 5 inches. Conversely, the Podcaster sounded thin and strident if I wasn’t right on top of the mic, so I recorded the Podcaster track at a distance of about an inch. The SM7B’s tone switches were all set flat. On the M-99, I’d enabled the “presence enhance” EQ circuit, which boosts the highs to compensate for proximity when worked close. As noted above, each of these mics prefers its own working distance. A mic’s “proximity effect” is the amount of bass boost it produces as you move the mic closer to the sound source. Some mic designs, like the SM7B, keep the capsule far enough back from the grille that proximity effect is reduced. 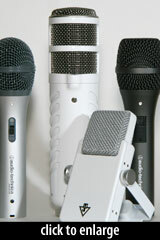 Other mics, like the Podcaster and M-99, change tonality significantly as you move closer or farther. Proximity effect is a tool, not a fault. Voice artists and broadcasters develop their technique to use proximity effect to their advantage. 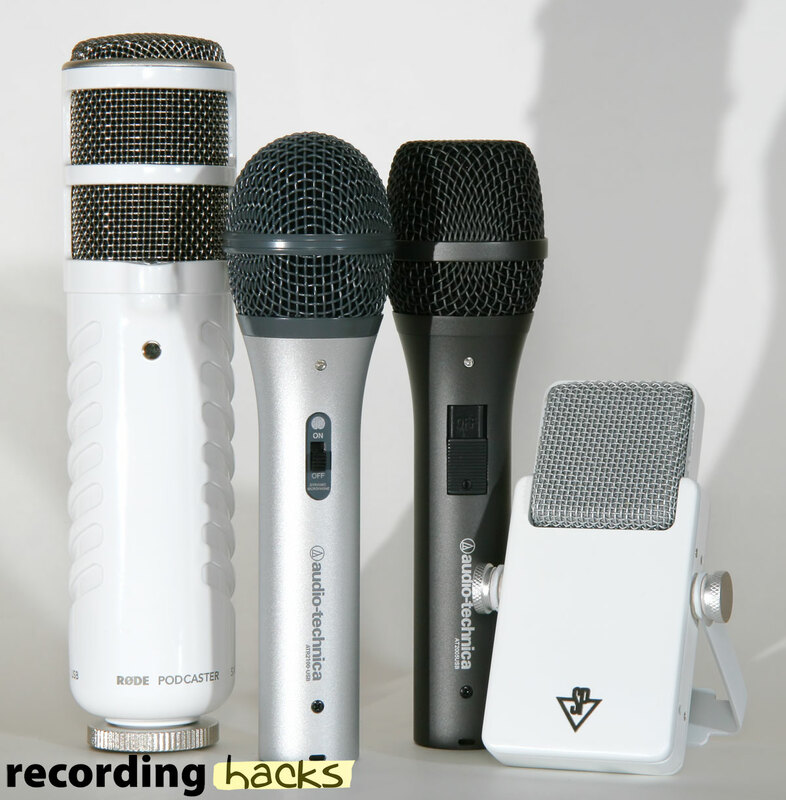 Amateur speakers and podcasters need to proceed with caution, though; until you have developed your technique, the tone of your speech track will change if you move around the microphone during the podcast… unless you pick a mic with minimal proximity effect, like the SM7B or Electro-Voice RE20. I conducted my own blind listening test with the 24-bit WAV audio tracks. (To be clear, none of the USB mics has 24-bit output, but I recorded them all into a 24-bit Pro Tools session, so my raw audio had been upsampled to 24 bit.) Several of the USB mics stood out immediately because their level of self-noise is higher. 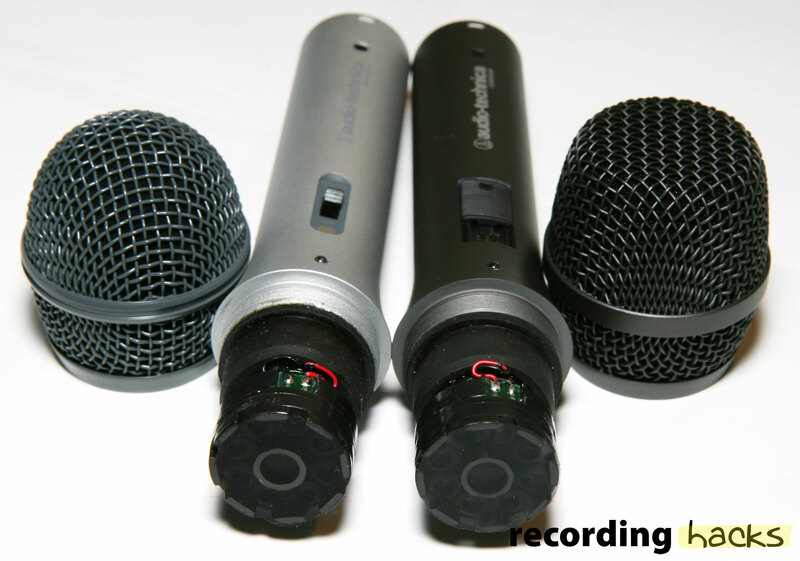 Specifically, I heard more hiss from the two Audio-Technica mics and the LSM. I didn’t find the noise level on these tracks to be offensive, though. There is a slight 100Hz hum audible in a few of these tracks. This was environmental noise, not a fault of any of the microphones. 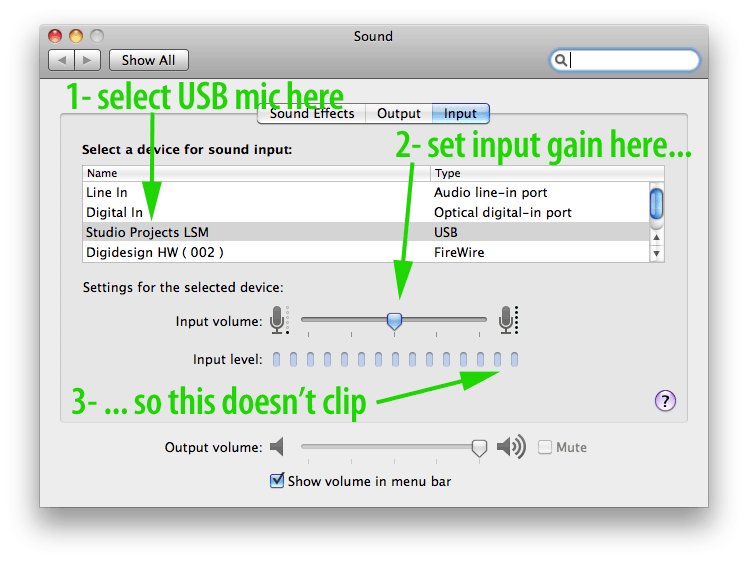 See my recent story on how to fix USB microphone hum for the explanation. In a blind test, I picked my favorite VO mic, the beyerdynamic M-99 — and not simply because I recognized it. (Truth be told, I thought at the time it was the SM7B.) It sounded the most natural of all of these, with good articulation and no hint of sibilance. And I love the low noise floor (which, granted, is due in part to the Cloudlifter and Onyx Blackjack). To my ear, this track conveys authority. The SM7B sounds good here; it is my second-favorite of the bunch. It has a flatter midrange than the M-99, and is more accurate for it if perhaps not as flattering (IMO) as the scooped sound of the M-99. The Podcaster sounds pushed in the upper mids. My voice sounds hard and nasal through this mic. The highs have good detail, but the track lacks warmth. When I compare it to the other mics, the Podcaster track sounds bandpassed, or aggressively EQ’d in a way that is unflattering to my voice (or, perhaps, to my ear). That said, I must point out that the Podcaster has the second-lowest self-noise of all the mics in this test. It doesn’t achieve the deep, black silence of the M-99, but it comes close. It has lower self-noise than the SM7B, in fact. Kudos to Rode for building a very low-noise amplifier and ADC circuit into this mic. The LSM sounded really nice here. I can hear, again, why I picked it as a favorite in our Best $200 Podcasting Condenser Mic Shootout. It’s not a neutral sound, but its color seems to work on my voice. It isn’t as smooth in the mids as the M-99, and owing to the sensitivity of the condenser capsule, the LSM picks up a bit more mouth noise than is ideal — which of course is one of the reasons I prefer dynamics for this application. Nonetheless, the LSM turned in a very usable track. 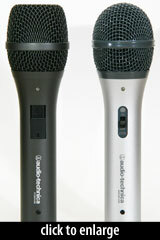 The two Audio-Technica mics impressed me. For the price, both sound great. I think neither A-T mic provides as high fidelity a track as the pricier analog mics here. In comparison to the M-99, both A-T mics sound a bit veiled, a bit less detailed. But I think they’d have sounded better — less veiled, more open — if I’d backed off the mic slightly. But even so, as I say, for the price these mics seem difficult to beat. Let’s get the obvious but arguably painful conclusion out of the way first: my $460 analog mic, through a $300 24-bit signal chain, sounds better than anything else here. But it should, at 3-16x the price of the USB mics in this test. If your budget allows for more than the cost of these USB mics, head over to our Editor’s Choice Podcasting Gear listing to find the best sound for your budget. Consider too what you’ll use the mic for. If the only thing you’ll ever record is your own voice, then you should focus on a mic that shines for that application. 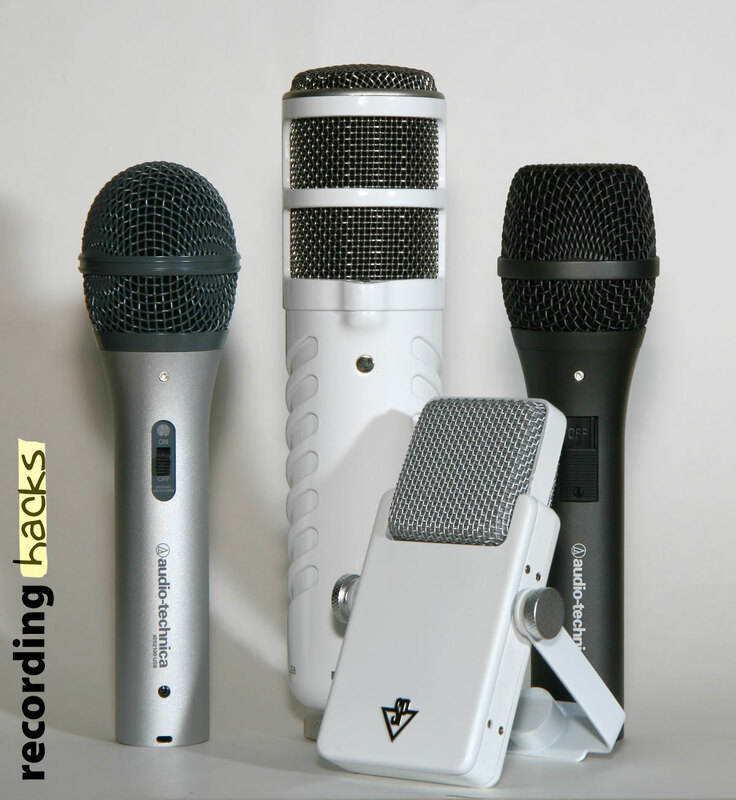 If you’ll record instruments too, or if you’ll use the mic on stage, then you should consider these factors. The LSM, AT2005, and ATR2100 all have analog as well as USB outputs. This means you can use them on stage or with an outboard preamp/interface. I think the LSM is especially versatile because (as we heard in the Best $200 Condenser series) it sounds really good on a lot of sources. All three USB dynamics (but not the LSM) have headphone jacks and gain controls, enabling you to monitor your own voice as you record. The other mics in this test would need to be monitored through your DAW. All these USB mics come with USB cables; the A-T mics and the LSM include analog XLR cables too. The A-T mics also have tripod desk stands in the box. None of the USB mics come with shockmounts. In the case of the Rode Podcaster, the PSM1 shockmount is available separately for about $40, and I’d recommend it given my experience with the mic’s sensitivity to mechanical vibration. I am very pleasantly surprised by the sound quality of the Audio-Technica mics in this test. At street prices of $50–$90, these are unbeatable for a low-cost podcasting solution. 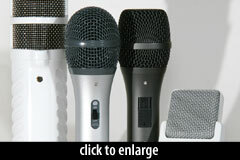 What’s the difference between these mics? Their specs are identical. Their accessories are identical. Their cartridges appear to be identical. One lists for $149, with a 1-year warranty, while the other lists for $80, with a lifetime warranty. (Which, yes, seems backwards.) 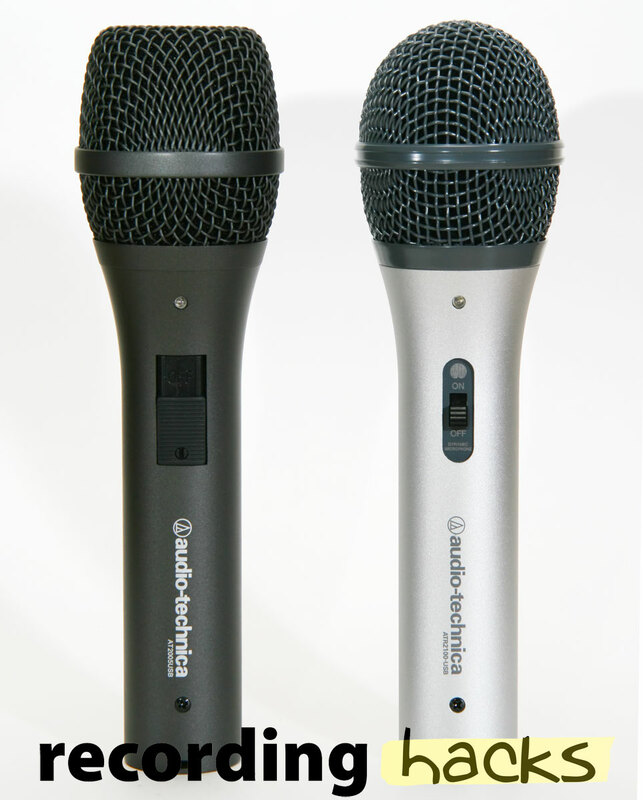 The pricier mic has a nicer finish, especially on the grille; the ATR2100 USB has a gray-painted grille that to me looks less professional than the AT2005. When I cut back and forth between these two tracks, I found moments in each that I preferred over the other. These are performance differences. I think the sound of these two mics is essentially interchangeable. Update! I tested these two Audio-Technica mics head-to-head, and posted comparison audio: mic vs mic, analog vs USB outputs, and additional ATR2100-USB comparisons: SM57, Rode Podcaster, Studio Projects LSM. See ATR2100-USB and AT2005USB, A Closer Look. And that’s a fairly amazing piece of news. Because it means I can recommend the ~$50 (street price) ATR2100USB as the best entry-level podcasting mic on the market. The mic’s sound quality is fantastic for this price point. And I think new podcasters will sound better through this mic than through any of the condenser mics being pitched to the podcasting market. The Studio Projects LSM, while not a dynamic, is a contender for a workhorse mic role in any studio. It’s a really solid little mic, with a usefully compact form factor. I continue to recommend this mic for just about any home studio application. The Rode Podcaster impressed me for its high sensitivity and very low noise circuitry. The sound of the mic didn’t flatter my voice, but I can imagine voices on which the mic would work better. The Podcaster does have a pronounced EQ curve, which I can hear even in the RODE Soundbooth application, but it doesn’t sound bad there. If your budget has room for the Podcaster, I recommend trying it on your own voice to see if it’s a fit. Remember, whatever mic you end up with will favor a particular working distance for your voice. 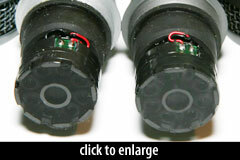 Try the mic at a range of distances, from right on it to eight or ten inches back. Find the distance that sounds best to you. 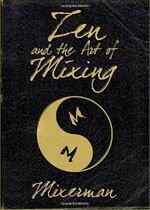 The narration track is an excerpt from Mixerman’s wonderful book, Zen and the Art of Mixing . The Rode Podcaster and both Audio-Technica microphones were loaned to me by their respective manufacturers for the purposes of this review. The LSM, SM7B, and M-99 are personal property, as are the Cloudlifter and Onyx Blackjack. We received no compensation from beyerdynamic, Mackie, Cloud, Shure, Studio Projects, Rode, or Audio-Technica for this review. I’d love to hear your experiences with podcasting mics, especially if you’ve used more than one. Do you prefer condensers or dynamics? 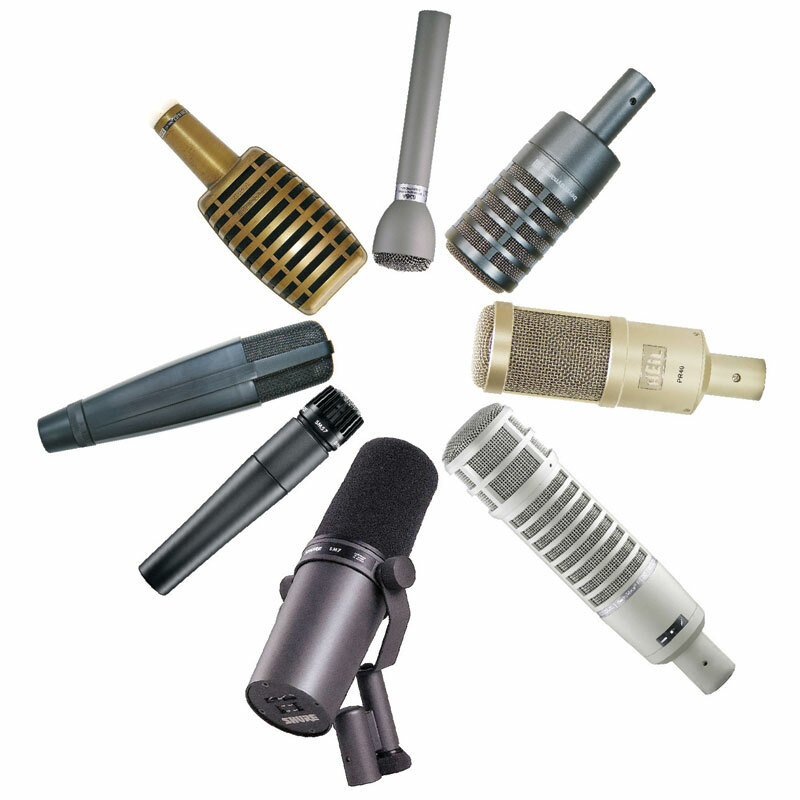 How many mics did you try before finding one you love? I purchased the ATR 2100 USB/XLR for $37 on Ebay. Works great for me especially for Skype and Google+ Hangouts. My comment is that when I record my voice, I tend to use a Rode NTG-2, a shotgun condenser. My opinion is that my voice sounds better with that mic than your typical dynamic one. The point is that it isn’t totally crazy to consider a shotgun mic for a podcasting/recording situation even though they aren’t meant for that. My 2 cents. Thanks, Matt for the great review as always. The ATR2100-USB and the AT2005USB are exactly the same microphone except the AT2005 is black, has an enhanced pop filter, and has a more robust magnetic on-off switch. Any differences in sound could be attributed to low cost manufacturing techniques used for $50 microphones. I always recommend purchasing the one that’s cheaper at the moment. For a long time, the AT2005 was cheaper than the ATR2100 on Amazon. At present, the ATR2100 is only $38.34 with free shipping. Even if you decide to move up to a more expensive microphone, which is more “want” than “need”, the AT mics are still useful for spares or remote broadcasts. Curious, would you expect the AT2100 to produce better results run XLR through the Mackie Blackjack to USB over going straight USB? One more thing: When I plug my AT2100 into a Mac via direct USB, I push the Input Volume slider all the way to the right in Sound settings. With my mouth 3 inches from the mic and a normal speaking voice, I only get up to a peak of about half the bars. If I put my mouth .5 inch away, I can peak the last bar. Does that match your experience? At the TV station we use Sampson QIU USB mics in the news edit bays, where reporters record their voiceovers, and get great results, considering the very less-than-perfect conditions. This used to be the home for SM58’s, but USB mics in edit bays have the advantage to connecting directly to the Apple based video workstations without the need for a preamp and more cables and knobs for some rookie reporter to mess up. It would be interesting to hear the AT2100 vs. the Sampson. To my ears, the AT2100 sounded better, with a fuller sound compared to the ATR2100. If it costs more, it should sound better. BTW: once again in a blind taste test I picked the M99 over the SM7B. Gotta get one of those. Based on what I heard and what I like to hear in the 5-10 hours of podcasts I consume each week on my commute, I chose, from best to worst, #1 (AT2005USB), #2, #5, #3, #4, and then #6 (ATR2100USB). If the 2 AT mics are equivalent, then something in the performance, positioning and/or proximity effect (not to mention p-pops) played very differently to my ears thru my headphones. @Jeff, for my tests I had the input gain slider around 70%. I think I was 2-3 inches away from the mic. Maybe I speak louder than you? @Steve, yeah, there’s something about that M-99. I really like it. The M99 sounds really good, however I wonder how it would compare to the SM7b with the mid presence boost engaged? Notice how the SECOND half of audio of ATR2100 sounds like AT2050. Maybe you were farther away from the mic in the beginning and then moved in a little? They are very different in the beginning with 2050 sounding like M99. I wish this site didn’t insert emoticons automatically — especially when they don’t reflect my state of mind. I am making a live broadcast by playing my acoustic guiar (which is unplugged to any amp or device) and singing (with NO microphone) in a music studio. there is windows 7 laptop and logitech web cam. i am streaming myself. For now, i am using the webcam´s microphone which is not good. I want to buy a USB microphone (you decide if it should be a condanser or dynmaic) to put it between my acoustic guitar and mouth so that it takes the both sounds and receive it with a good quality. It has to be USB microphone. I need condastor microphone for ONLY vocal recording. which product is compatible with Duet by apogee? which one do you recomend me to buy? note: i can afford any of the mic. please tell me all the possiblities with price range. I know nothing about this subject, last week. I read some stuff online and was lost. So googled a youtuber who is broke and has great sound. “Millennial woes microphone” and what came up was your AT for 50 USD. 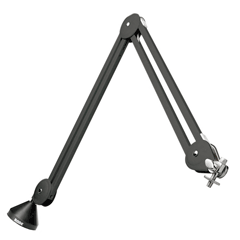 Bought it on amazon, with a cradle mount, pop filer and desk boom for 30 bucks center. Got into all the Mac apps, audacity, soundflower, and iMovie and now have some first cuts of a few YouTube videos. Problem: too damn low volume even cranked. I can boost it in iMovie, but wonder if there is a better way. Pros? ?